A good car seat is essential in making your baby safe every time you travel, especially by car. There is no doubt that when your child is in a car seat, it can save their lives if an accident were to happen. 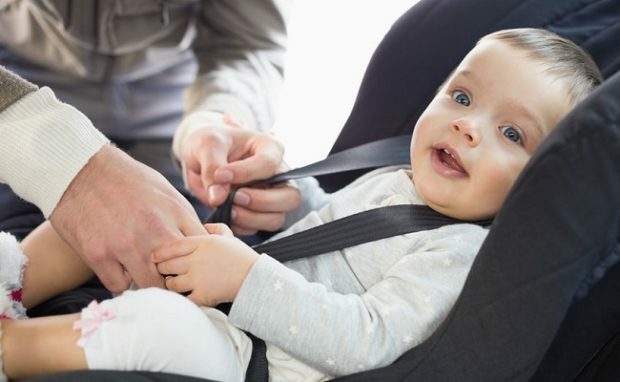 Buying a car seat can be very overwhelming, especially if you are a first-time parent because the marketplace is oversaturated with them. There’s a lot of variants in the market and you might get confused on which one you should buy. You can check out car seat reviews to give you an idea on which are the top ones in the market today. You can also read the list below for some tips on which car seat you should consider for your newborn baby. Before you go buying a car seat, you need to first look at your car. Read the manual if the car allows for both seat belt or the LATCH system in order to install a car seat. Then you can choose how you want your car seat attached to your vehicle. Aside from that, you want to see just how big of a room there is for the car seat. Some car seats are too large to fit in small cars, and if you have other children, you will not have enough room to fit them all. Car seats can be pricey, depending on the features they have. Having a newborn baby will surely put a dent on your household budget, so you need to be firm with how much you are willing to spend on the car seat. You may want to consider getting a used car seat, but you should only purchase from people that you completely trust. Some sellers might just be getting rid of their car seat after it has been damaged. You can stretch your budget a little bit if you look for a car seat that will be with your child for at least two years. Consider buying a convertible seat instead of just a rear-facing infant seat. If you invest in the latter, you will need to buy another car seat when your child gets older and will need a car seat that is turned toward the front. Get something that is easy to maintain. There may be spills and other stuff that may happen, so look for one that has a fabric that can be easily wiped. More than the features stated above, safety should be your number one priority. Get a car seat with a five-point harness as this is better for your baby’s protection. Also, you can check the safety label to see whether it meets the Federal Motor Vehicle Safety Standard 213. You can also check the ease of use rating form the National Highway Traffic Safety Administration.